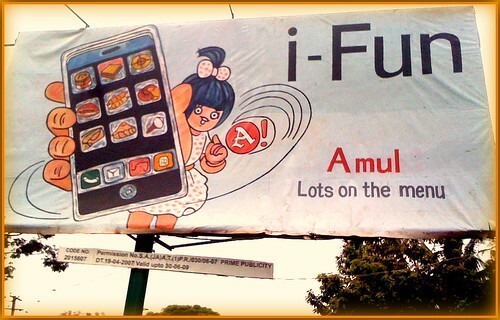 BHANU PRAKASH CHANDRA forwards an Amul hoarding shot and sent through his, well, new iPhone. This entry was posted in Advertising and tagged Amul, Churumuri, Sans Serif. Bookmark the permalink. ← Like Aishwarya Rai is related to Kalpanath Rai?